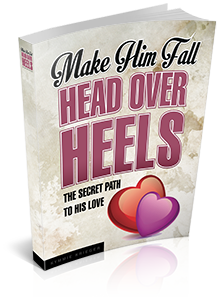 "Make Him Fall Head Over Heels"
including INSTANT ACCESS to all of the bonus material for only $9.95! You’ll receive instant download access to this comprehensive guide that teaches you everything you need to know about how to win the heart of the man you want, and keep it forever. You’re going to learn the 12 secret love techniques that will make a man fall helplessly in love with you, and what he wishes you knew (but would never tell you). This is your golden key to transforming your love life into something truly magical, and it all starts here. 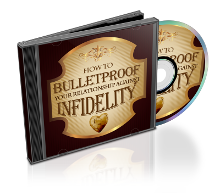 Listen in and learn how to protect your relationship from cheating as relationship expert Mirabelle Summers interviews dating and relationship coach Bob Grant, author of “The Women Men Adore and Never Want To Leave”. govern being successful with men. You will find out about important things such as how to spot a loser that isn't worth wasting your time on, what a man's deepest fears are about taking things to the next level, ways to retain the interest and desire of the man you want, and so much more. 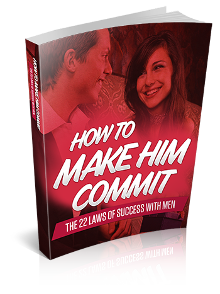 Knowledge is power, and the information in this special report will empower you to become successful with men! 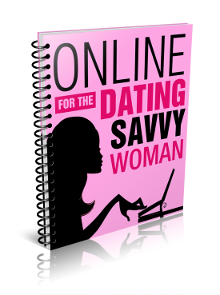 Read this bonus book for a light-hearted but accurate insight into online dating and how to get the results (and the man) you really want. You're going to get the inside deal on the good, the bad, and the ugly of internet dating sites, discovering the "do's and don'ts" of internet etiquette, so you can share and celebrate the exhilarating dating triumphs and sidestep the blunders and mistakes others have made. Buckle up and enjoy the ride as you explore all the key tips to "mate cyber-shopping" that will elevate you to "expert shopper status," putting you way ahead of the game in your quest to win the heart of the man of your dreams and take this relationship offline. Limited Time Bonus (Optional) Yes Kymmie! Please also give me my first edition of the Ultimate Attraction Transformation Series for FREE ($37 value). I understand that with Ultimate Attraction Transformation Series, each month I'll discover life-changing tips and strategies to attracting and keeping the man of my dreams as well as empowerment advice, healthy lifestyle tips, relationship maintenance, interviews with dating experts, and specific intimacy issues all answered in each action-packed issue! Finally, I understand that my "Make Him Fall Head Over Heels" purchase is fully covered by your personal, risk-free, no questions asked 60 day 100% money-back GUARANTEE! If I'm not satisfied for any reason, or it doesn't live up to my expectations, I won't be out one red cent. I can just send an email and I will be refunded my payment. Right up to the final day of this 60 day guarantee.